MONROVIA, CA –Moran’s is pleased to auction fifteen portraits from some of the finest artists working in England from the 17th to 18th centuries assembled over many years and consigned from a local single-owner collection. The portraits will be auctioned alongside other works of English and Continental art, furniture, and décor during their March 10th Traditional Collector auction. Chief among the offerings is a beautifully painted portrait of Mrs. Isaac Elton (née Ann Tierney) from famed artist Thomas Gainsborough. The portrait of the enigmatic sitter captures the softness of her complexion and skillfully conveys the fine fabric and delicate pearls typical of a lady of her station and is estimated to sell between $50,000-70,000. What better place to auction this important work than miles away from the Huntington Collection, the institution where perhaps the most famous Gainsborough, “Blue Boy,” is housed. 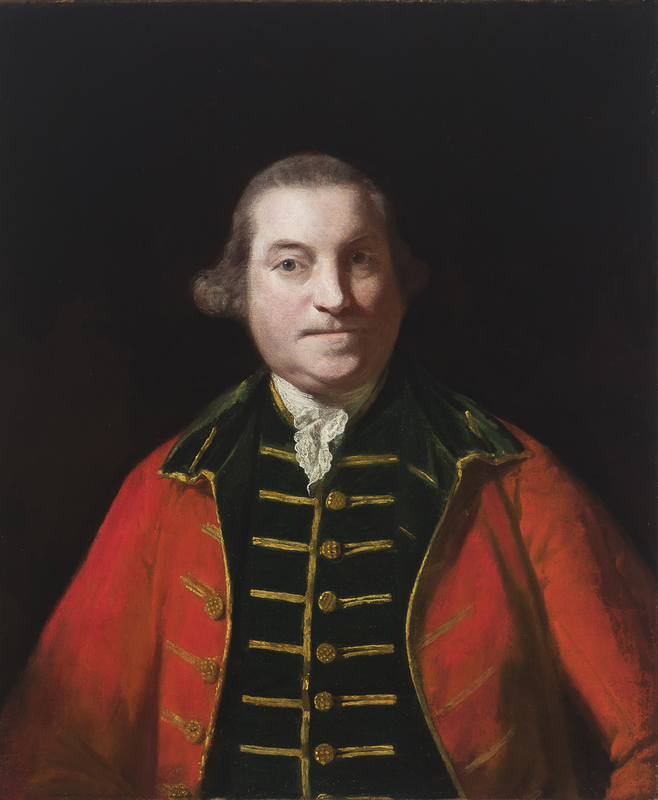 Sir Joshua Reynolds, a founder, and president of the Royal Academy of Arts who was Knighted by King George III in 1769, features in this auction with a portrait of a gentleman in uniform. The officer shown in this portrait in his green waistcoat with red jacket shows a serious expression and a hint of movement in the pose, befitting a man of action. The portrait is projected to sell within its $15,000-25,000 estimate. Beauties painted by the leading portrait painters of the 18th century are amply represented in the auction as well. 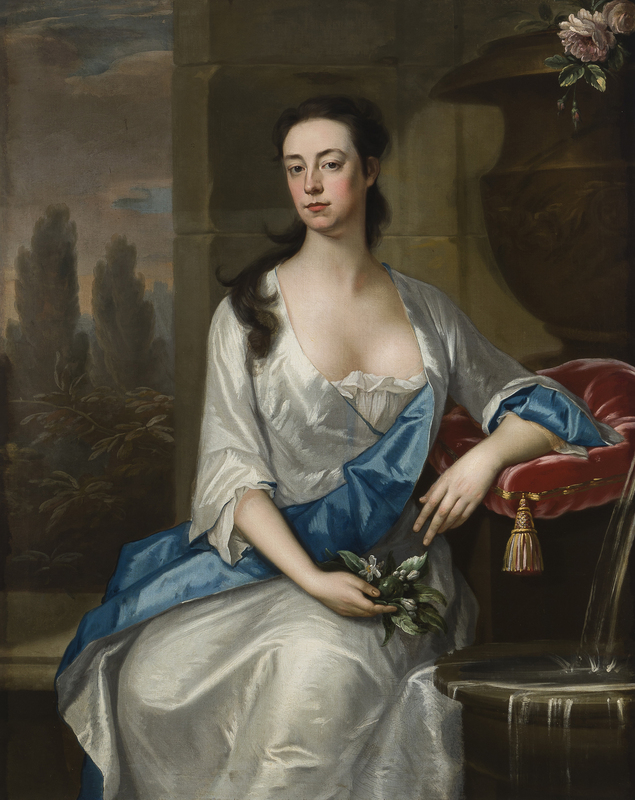 A portrait of Harriet Pelham-Holles, Duchess of Newcastle-upon-Tyne by German-born British portraitist Sir Godfrey Kneller was one of several portraits the artist made of the Duchess. Following the death of Sir Peter Lely in 1680, Kneller was made the Principal Painter to the Crown by King Charles II. Shown in a gold dress with delicate tresses, the portrait is estimated to sell between $5000-7000. A portrait of Mary Parker from Swedish-born painter Michael Dahl shows a poised Mary in an elegant white dress draped with a blue sash; one arm rests on a red velvet cushion while the other holds a flowering fruit branch. A dazzling portrait from Dahl, the work is estimated to sell between $12,000-18,000. A portrait from Irish-born artist Nathaniel Hone the Elder is one of the most charming in the auction, depicting a woman in a red dress trimmed with lace shading her eyes as she looks up from her book. The portrait will come to the block with a $7000-9000 estimate. Henry Pickering also features in the auction with a portrait of a lady in a blue dress. With her elaborate lace collar, the sitter is a beautiful example from the artist and carries an estimate of $3000-5000. 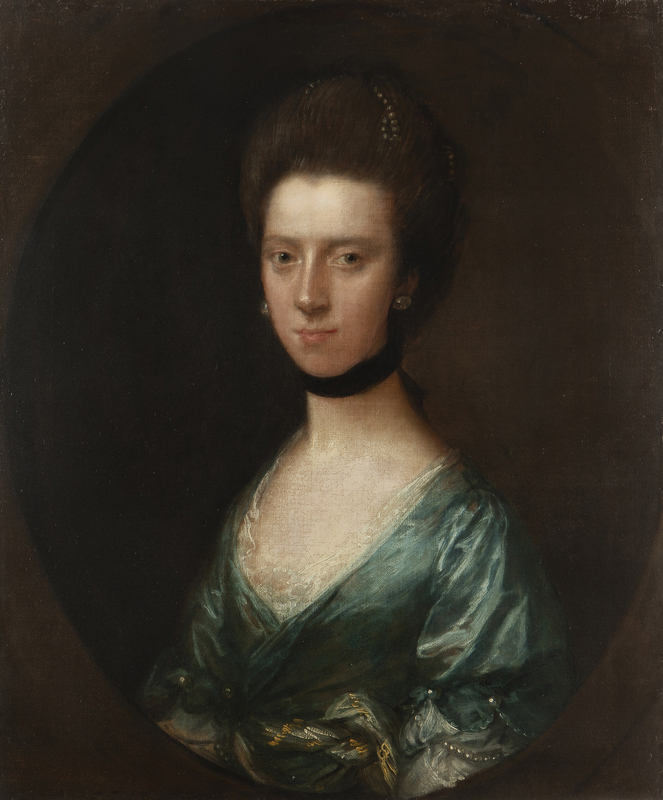 A portrait of a lady from Joseph Wright of Derby is one of the staff favorites. The likely sitter of this painting, Elizabeth Pigot, was the wife of William Pigot, a wealthy fabric dealer. 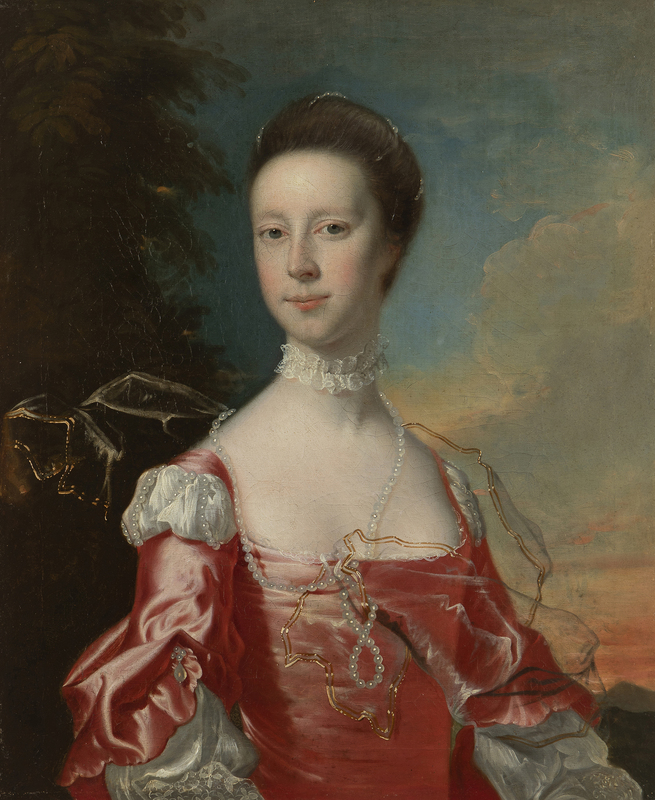 The dress worn in this portrait is fitting for a fashionable woman with access to fine fabrics and pearls, an expensive commodity at the time. The portrait is expected to sell in the $20,000-30,000 estimate. 18th-century gentlemen also feature strongly in the auction across an array of works. A portrait of a gentleman from Thomas Hudson, one of the most popular portraitists working in London in the mid-18th century, depicts a smartly-dressed gentleman in a lush velvet coat. The work bears an estimate of $4000-6000. A portrait of Sir Corbet D’Avenant, Baronet painted in 1783 by George Romney is a striking example from the artist. The expressive face and bright blue coat of the sitter are skillfully conveyed by Romney and should propel the work to sell between $10,000-15,000. A portrait attributed to James Northcote, possibly a self-portrait of the artist shows a man in gray waistcoat shielded from a painter’s palette by a green smock is a charming example of 18th-century portraiture. The work will come to the block with an estimate of $7000-9000. 17th-century portraits round out the remainder of the collection. 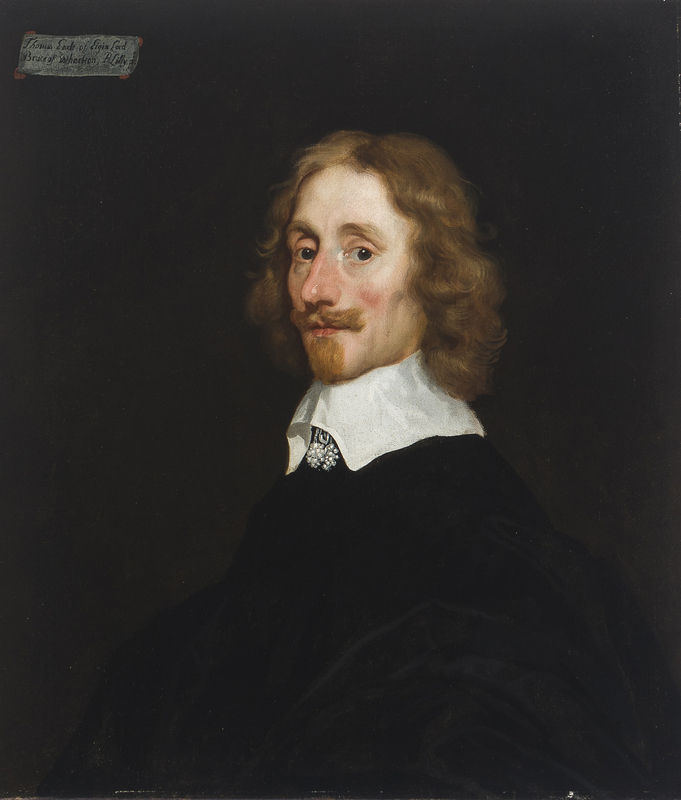 A portrait of Thomas Bruce, 1st Earl of Elgin by Sir Peter Lely, one of the most popular and important portrait painters of his day, shows the Earl with a shock of red hair and fashionable Van Dyck beard. The work is estimated to bring $25,000-35,000 at auction. A portrait of Elizabeth Percy, Countess of Northumberland by a follower of Sir Peter Lely, and his 1662 or 1663 portrait of the Countess shows a high level of skill in the rendering of her rich gold dress. The portrait is estimated to sell within the $6000-8000 estimate. A portrait of a noblewoman attributed to Cornelis Johnson van Ceulen shows a lady in a pink dress with lace collar and understated pearl jewelry. The work is expected to bring between $20,000-30,000 at the block. A portrait of a noblewoman in blue with ropes of pearls around her hair, neck, and dress from the circle of Sir Peter Lely is expected to bring $3000-5000 at auction. Finally, a portrait attributed to Mary Beale completes the 17th-century offerings. The young man with a relaxed smile is shown with a lace jabot and blue satin sleeve within a faux-painted frame and is estimated to sell between $4000-6000 at auction. As Sir Joshua Reynolds once said, “What is a well-chosen collection of pictures, but walls hung round with thoughts?” Moran’s is honored to handle these well-chosen portraits. For upcoming highlights, online catalogues, and more information on these sales, visit Moran’s website: www.johnmoran.com. Bidding is now available online via Moran’s new mobile app Moran Mobile, available on both iOS and Android operating systems. Live bidding on a desktop is available through bid.johnmoran.com; bidding is also supported by telephone, absentee, or in person.